World Golf Tour bills itself as 'the most authentic web friendly golf game where friends play world famous golf course for prizes'. It's certainly got the web-friendly part down. Pop it up in a browser and you're thwacking dimpled, surlyn-covered 1.6-inch spheres around quick as you can say 'Links 386'. 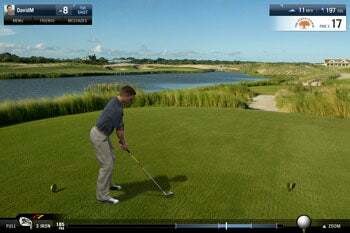 It's actually a little spooky just how seamless everything runs, for a browser-based golf simulation designed to go toe-to-toe with EA's Tiger Woods series. I sent WGT CEO/Co-founder YuChiang Cheng the following five questions (actually six--we split the first one in two). Here's what he had to say about his game, the perils of endorsing celebrities, and the future of online sports gaming. Game On: Describe World Golf Tour, its inception, and what motivated you to create it. YuChiang Cheng: The company started about 3 years ago. Our vision has been to create an online sports gaming experience with no barriers to entry that would compete with the visual quality of console gaming. We foresee that virtual sports gaming online will replicate and surpass the success of fantasy sports. 17th Tee on Kiawah Island golf course. GO: How did WGT come about? YC: WGT president and Co-founder Chad Nelson and myself both formerly worked at the same company, WagerWorks, which sold to IGT for $90 million cash in 2005, leaving them to ponder what to do next. Chad went to a wedding in Italy where he played an amazing golf course. Afterwards, he went online to share pictures of the course with friends, but couldn’t find any photos that did it justice. He also noticed that there were no quality sports games available online, even though online gaming was gaining in popularity. The concept was born. Chad came back to San Francisco and he and YuChiang discussed it over burritos on Potrero Hill. They knew building a “game” was not a business and that they did not want to be just “another” independent game developer. So they poured some more salsa and drank some more beer and figured out how to build a new gaming media business model with online distribution, advertising and the sale of virtual items. Then, they recruited JF Prata and Phil Gorrow of EA to build it. WGT.com launched a demo of the site in 2007, and they knew they had a winner when hundreds of thousands of players began participating. An open beta commenced in October of 2008. They’ve since garnered a community of more than one million players from over 180 countries. A majority of their players are purebred golfers and golf fanatics who have never played a video game in their life and don’t consider WGT to be in the same category as other golf “games” because of its authenticity. 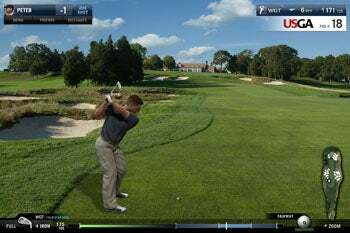 World Golf Tour partnered with the United States Golf Association (USGA) in 2009 to co-host the first-ever Virtual US Open where they brought the championship course Bethpage Black, online for play, and attracted hundreds of thousands of entrants. The USGA had never before seen such an authentic and accessible representation of the game that WGT.com provided, which prompted the century old organization to introduce with the online initiative. The Royal and Ancient co-hosted The Virtual Open with World Golf Tour shortly after on the virtual Old Course at St Andrews Links. GO: WGT appears to employ an approach similar to the old Links-style games, where photo-realistic 2D graphics were used in lieu of true 3D modeling. How realistic are your ballistic physics (club modeling, weather, terrain, trajectory modeling, player attributes, etc.) compared to EA's fully-3D Tiger Woods series? YC: Both WGT and EA’s games are built on 3D modeling and 3D physics engines. WGT’s ball trajectory model, terrain and club modeling are all 3D. The difference compared to EA is that instead of having artists draw textures and lay them over the 3D objects, WGT takes HD photos and textures them onto the 3D objects. We have a fully functioning 3D environment that is created from laser CAD and geo referencing technology using the latest science available. The terrain is within 1-1.5 inch vertical accuracy of the real world…so real in fact that PGA Tour players used WGT to get familiar with Bethpage Black before the US Open. If you play the WGT course before you play the real world course, you will save a few strokes. GO: Describe WGT's revenue model. How do sponsored tournaments and your particular implementation of micro-transactions and in-game advertising work? YC: WGT generates revenue through all of these methods. We host online tournaments that are sponsored by brands looking to reach the golf demographic, just like in real life. These sponsors are integrated throughout the event to effectively reach WGT’s highly engaged golfing community. We also employ a micro transaction model where players can customize their player’s looks and equipment, which changes the way the game plays enhancing certain characteristics. For example, players can purchase the latest clubs and drivers from TaylorMade and/or PING and virtually sample them. GO: In light of the Tiger Woods scandal, what are the perils of enlisting a celebrity spokesperson? Why doesn't WGT endorse anyone? YC: When a company chooses to endorse or integrate an athlete or celebrity, they are not only signing on with that person professionally, but also aligning themselves with his/her personal life. To think otherwise is naïve. There is a reason why all endorsement contracts have legal terms regarding a spokesperson’s personal life indiscretions in order to protect the company. EA has built its franchise around a person. With, WGT, we want to purely focus on the game of golf. Golf is much bigger than a single athlete. It is a sport rich in history, tradition and culture. 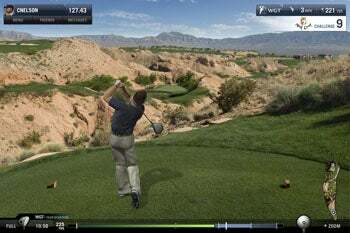 WGT is a free, accessible way to experience golf and we are constantly working on new features that can further emphasize the beauty and camaraderie of the game online. GO: WGT.com claims you can win exotic trips, cash prizes, etc. How does this work, and what's the biggest payout you've made so far? YC: WGT runs a host of tournaments which often have prizes associated with them. Most of these can be entered for free where players can win prizes based on their skill. For example, the winner of the Virtual US Open 2009 sponsored by American Express and the USGA, won an all-expenses paid trip to the 2010 US Open at Pebble Beach as a VIP guest of the USGA (valued just under $5,000). Overall, we have roughly given out $100,000 in prizes and awards.